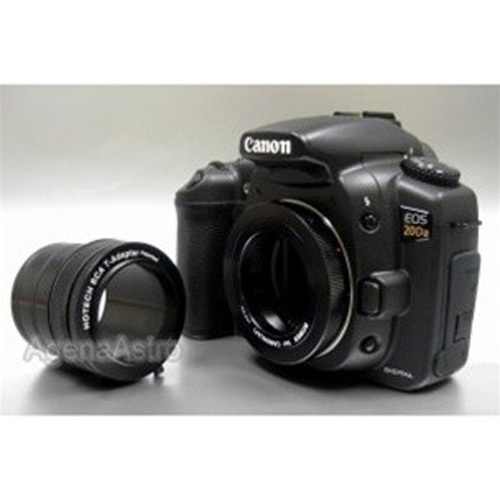 Announcing the Self-Centering Camera T-Adapter for Astrophotographers. 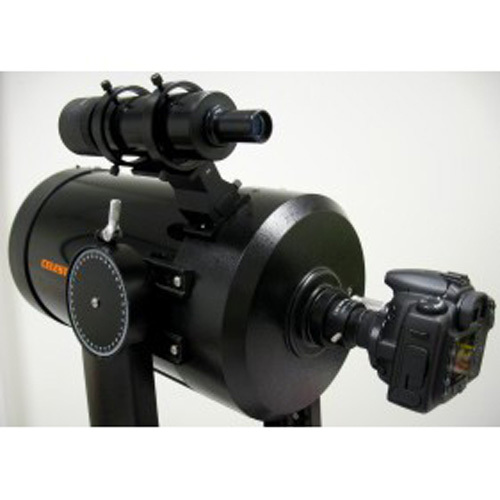 The Self-Centering Adapter (SCA) mechanism provides repeatable and reliable connection between your telescope and the camera. 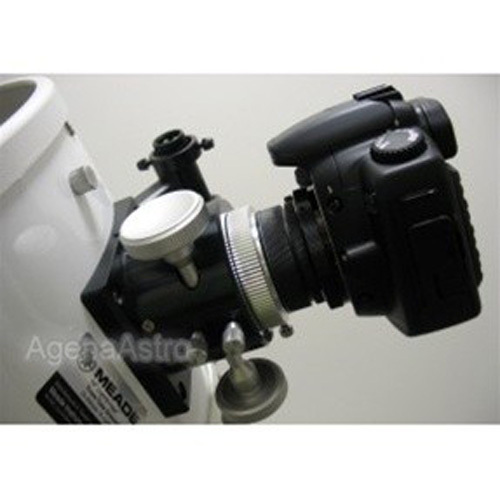 The SCA T-Adapter fits any make telescope that uses a 2" focuser or visual back. Use your existing T-Ring matches your brand of camera and thread onto the SCA T-Adapter. The optical axis is shifted when the inserting device is locked in by thumbscrew. In some cases, a poorly made unified compression ring can cause an unstable tilt when locking in the drawtube due to loose tolerances between the compression ring, inner groove, and the uneven tip of the locking thumbscrew in a drawtube. The SCA T-Adapter adapts your camera without using the thumbscrew or the unified compression ring. 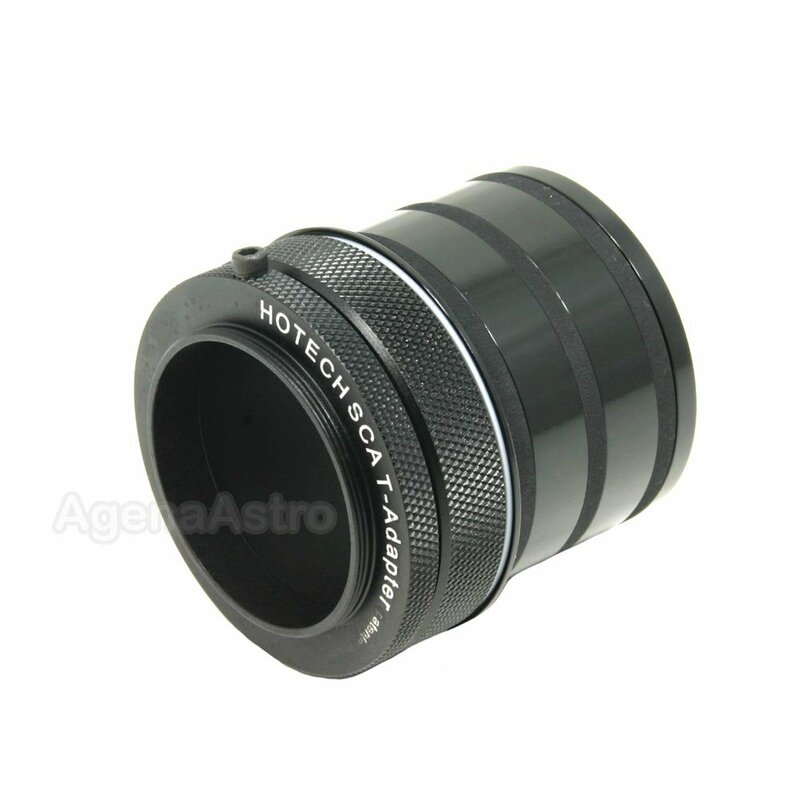 Short profile design keeps the installed camera stable from low frequency oscillation transferred from the telescope in a windy environment. The back focus of a 2" SCA T-Adapter is 19mm (0.75") measured from drawtube shoulder to the bottom T-Thread. 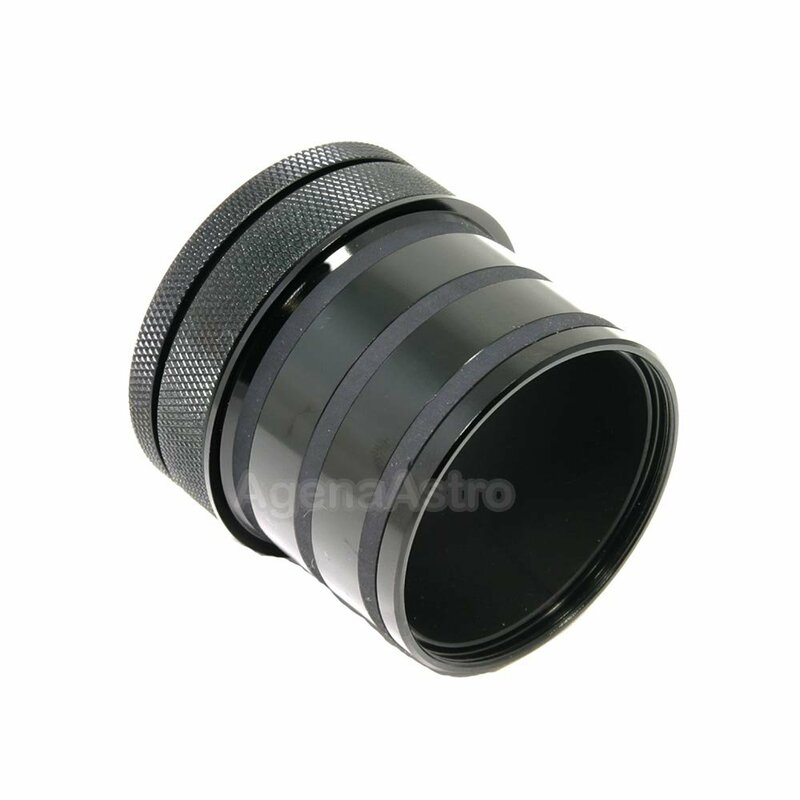 2" T-Adapter has a built-in 2" (48mm; M48x0.75) filter thread.